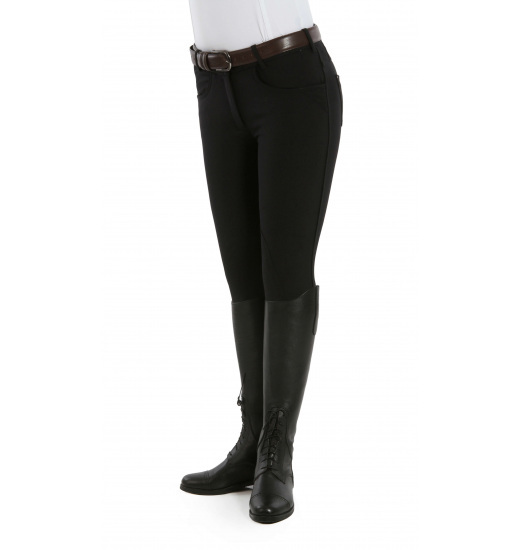 Kelly slim fit ladies breeches. Made from a specialized blend of materials. On the back pocket embroidered chic logo with the shiny, silver thread. The rear pockets and belt loops are also decorated with Swarovski stones.